Contented Freethinker Wrote: ------------------------------------------------------- > Thank you Steve for a lovely tribute to Glen > Campbell. His music was a pleasant part of my > childhood, his melodies often replaying themselves > in my mind after I heard them on the radio. Your > drawing will remain for me a fitting memorial at > his passing. 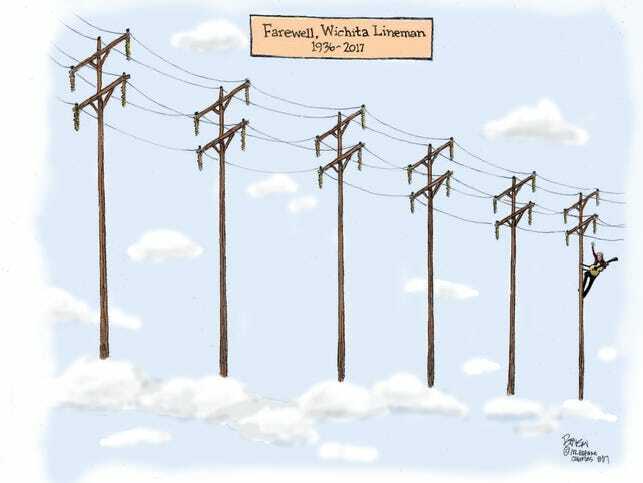 It reminds me of the tribute you drew > for Jim Henson, as he walked into the sunset, his > characters waving farewell. That one remains > etched in my memory from years ago recalling the > delight he gave me as a child.